Living Archives hosted the Developer’s Breakfast at the Riksarkivet conference Digisam 2013 in Malmö. 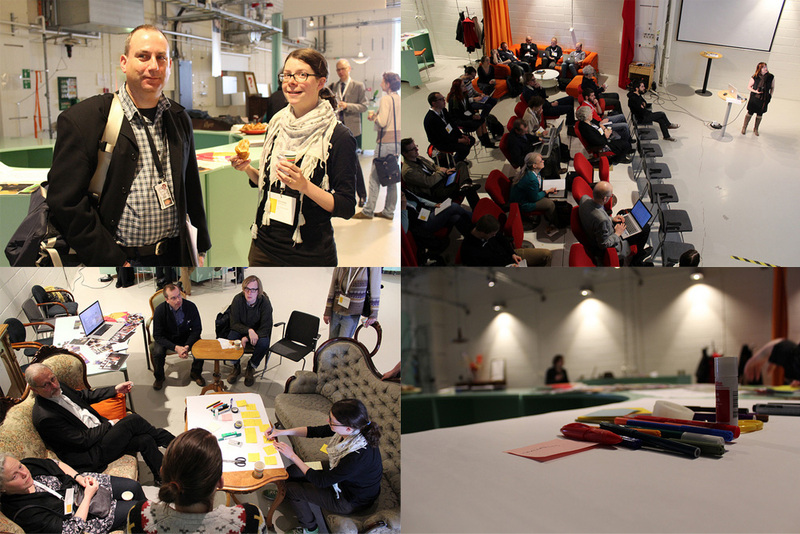 Here’s a short wrap-up of the seminar that dealt with these topics: (1) how archives can be “lived/performed”, (2) contemporary personal archiving practices, and (3) digital archives, open data and crowdsourcing. The seminar started with a brief introduction to Medea, a design led research centre for collaborative media at Malmö University. Read more about Medea in the publication Prototyping Futures. The newly established prototyping lab Connectivity Lab was also introduced. The participants, around 25, were then given an overall introduction to the Living Archives project. More CC:BY licensed images from the seminar can be accessed on Flickr. Michael Cavanagh presentented Ghost Rockets, which is a documentary project based on archive material, and crowdsourcing principles and methodologies. Daniel Spikol then talked about potentials of augmented reality (AR). He presented some early findings from the DansAR workshop series, which is an AR performance project exploring how digital media content can be made accessible and lived by means of augmented reality technologies. The participants chose a topic and discussed potentials and challenges regarding that particular topic for 15 minutes. A re-cap and short resume of the discussions was then given to the whole group. Below are a few keywords from the discussions. I. Performing memory: how can archives be “lived/performed”, be social? Crowd-source by the public (political?) or by the archivist (neutral)? Who decides what is worth archiving? How to plan for long-term solutions, solid frameworks, archives that are last? A lot of our communication today is recorded, but how to assess, and capture it? It is not until it is captured, and taken care of that we can refer to it as an archive. How to capture and assess this communication – instead of information – and preserve it? This group found it difficult to decide weather the findings are to be considered as potentials, or challenges – or both. A history mapping project (20,000 pictures) – but what about the legal and ethical challenges? Photos from the seminar can be accessed here, they’re all licensed CC:BY. Participants from Living Archives & Medea, Malmö University were Asta Wellejus, Daniel Spikol, Elisabet M. Nilsson, Eva Wendelboe Kuczynski, Karin Johansson-Mex, and Marie Gustafsson Friberger. For questions about the Living Archives project, contact project leader Susan Kozel.